The first radiograph shows shift of the midline structures to the left with decreased transparency of the left upper lung lobe. Left lower lung lobe (LLL) is hidden behind the cardiac shadow, it is collapsed. 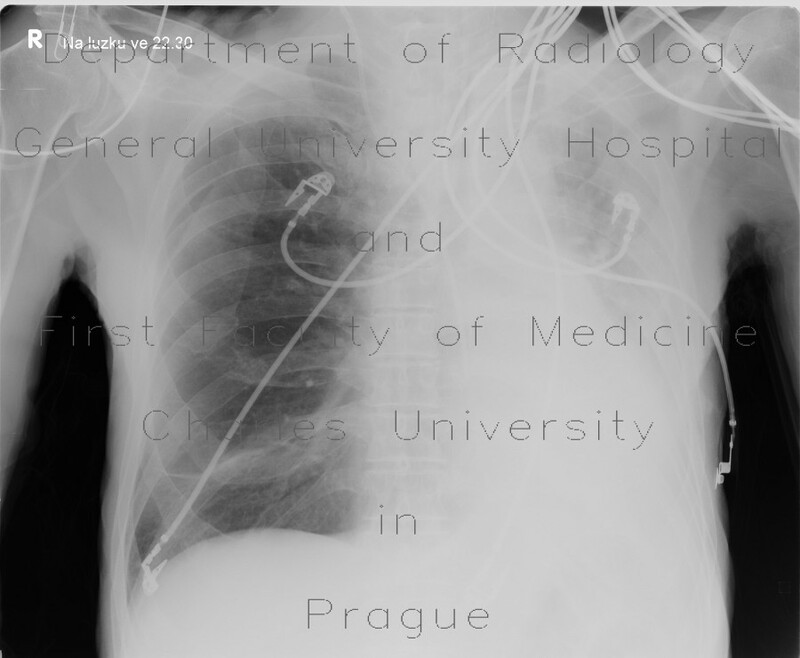 The next radiograph after bronchoscopy and removal of mucous plugs shows, that transparency of the left lung wing increased and the left lower lung lobe is expanded again. Decreased transparency of the left lung wing can be partly explained by pleural fluid.